Dull ruby red, with warm, mineral notes in the nose, with scents of black fruit followed by walnuts. Full-bodied on the palate, with smooth tannins and a flavoursome finish. 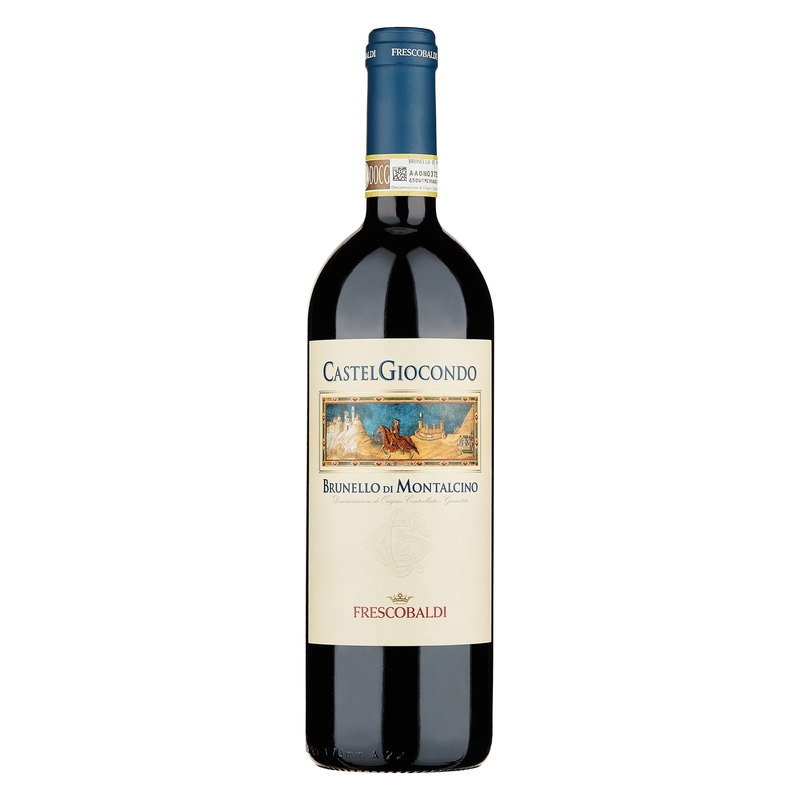 It expresses ripe fruit with savoury nuances that give this red a wonderful succulence. Ideal with all courses of a meal, especially braised meat, fillet steak and mature cheeses. The village of Castelgiocondo overlooks the historical estate of Frescobaldi in Moltalcino, an ancient fortress built in 1100, in defence of the road from the sea to Siena. 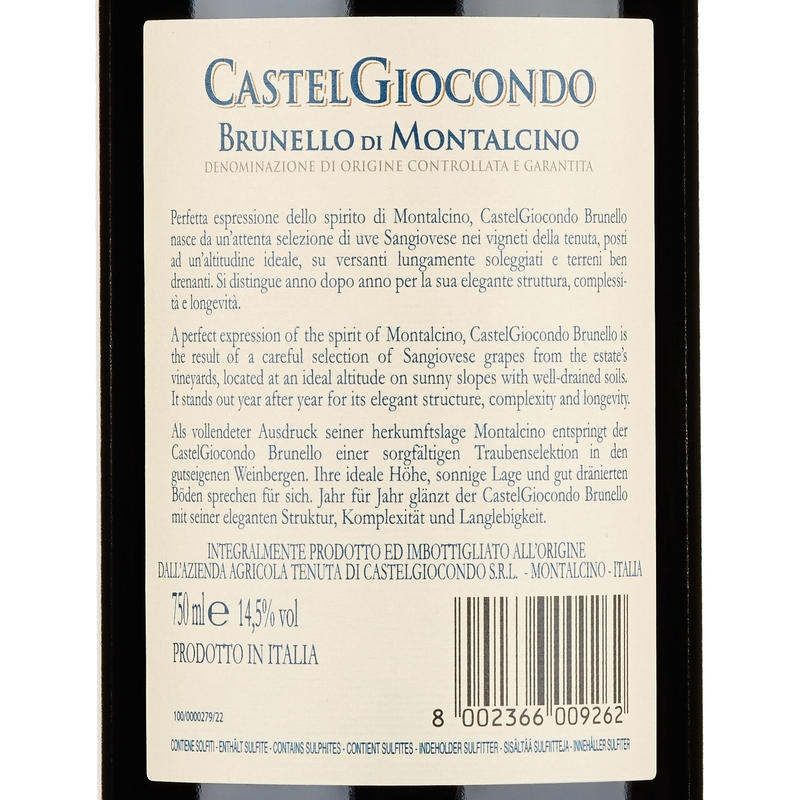 A historical place, it is one of the first four properties where Brunello di Montalcino began to be made in the 1800s. The Estate is in an ideal terroir for Sangiovese and for the great wines that are made here: the vineyards are planted at altitudes of between 300 and 400 metres above sea level, and the soils, which drain beautifully, enjoy favourable south-westerly exposure to the sun. 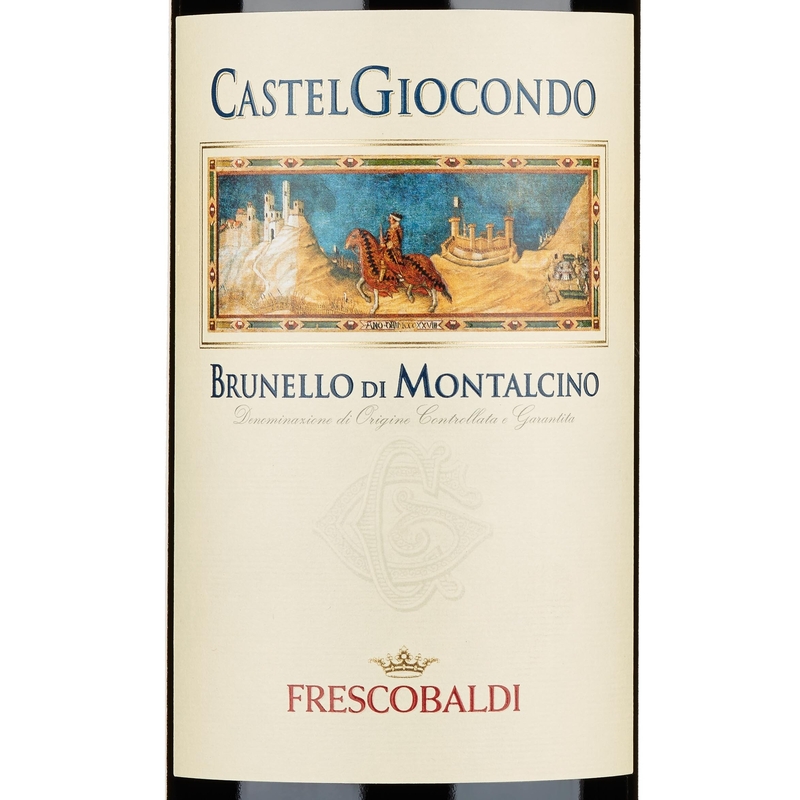 Maniacal attention to work in the vineyards, high densities and low yields make it possible to produce a great Brunello, with elegance and admirable longevity. 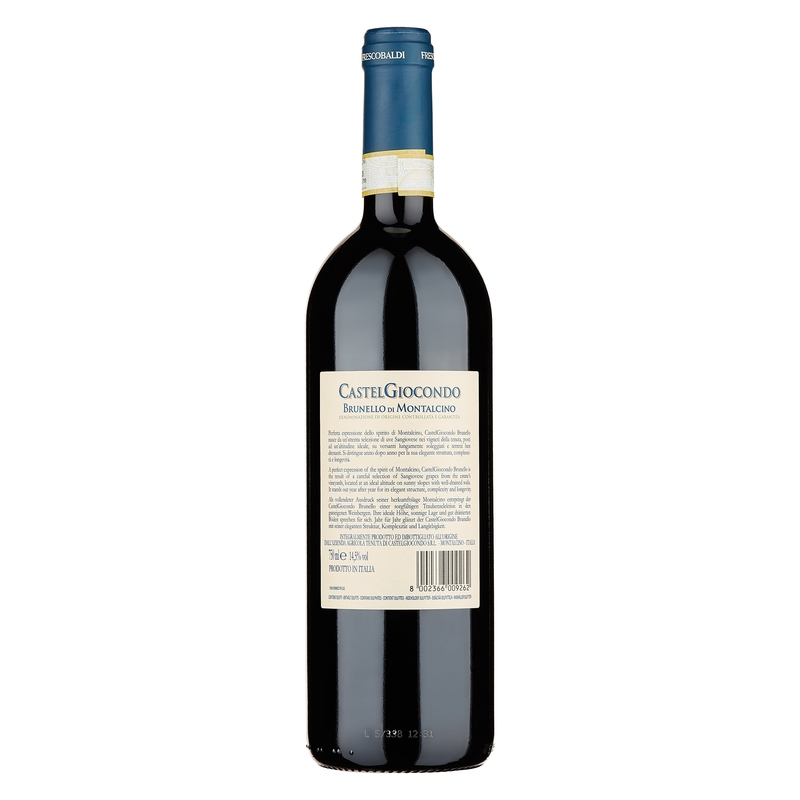 Castelgiocondo is Brunello di Montalcino which is the result of the strictest selection of Sangiovese grapes in the vineyard, where all the characteristics required to enhance this antique grape variety are respected in full. 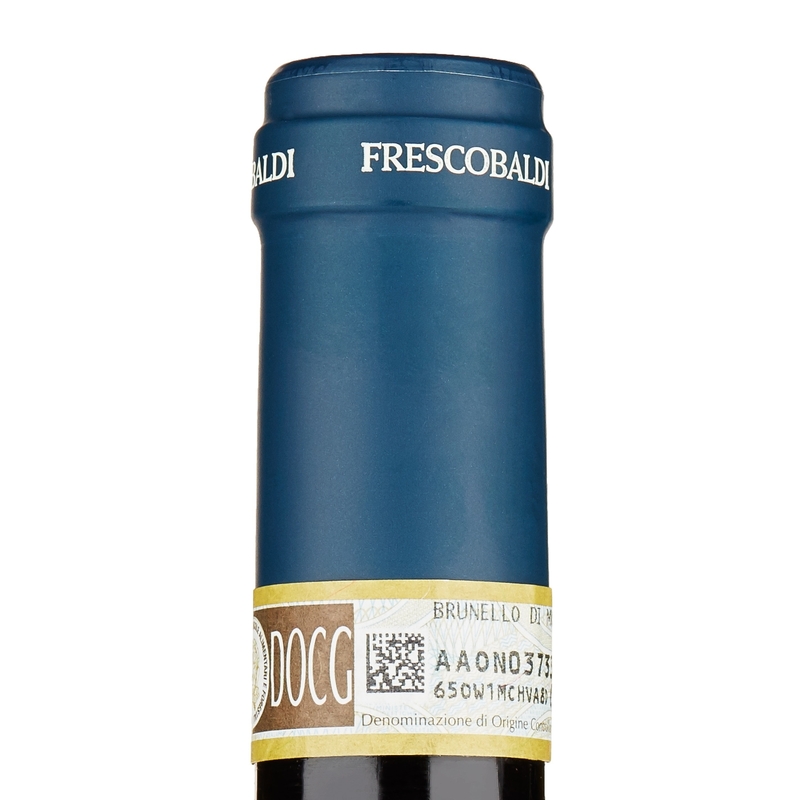 It is born like this, after ageing slowly in barriques and large barrels, a wine with great structure, elegant and balanced, with intense perfumes and great finesse.